SNS #29 brings you – lampshades! 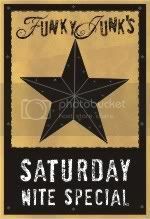 Welcome to Saturday Nite Special #29! If you’re new here, join in! There are now three categories to link to. Home Decor as well as Crafts, Sewing, Recipes, plus our new themed link! Check below for this weekend’s theme. 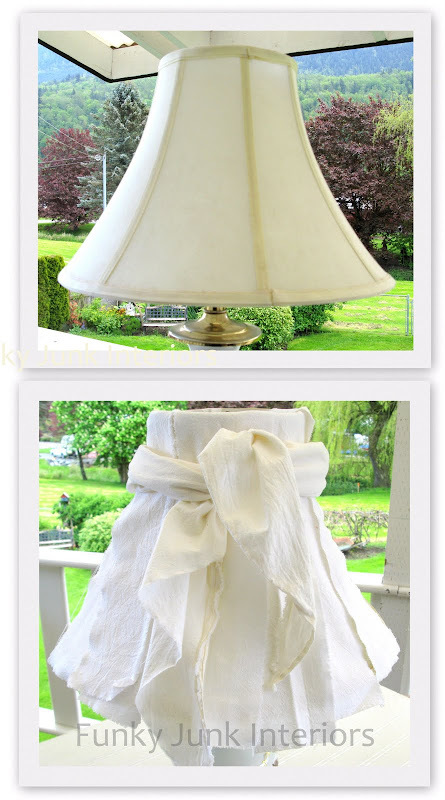 This shabby little lampshade couldn’t be easier to create. It’ll take you just a few minutes. I found this cute lamp at the local thrift, but the lampshade needed some work. So I went through my white fabric stash and came up with a quick fix! I ripped the fabric into workable strips, leaving the edges fabulously frayed, then I just hung them up along the top edge of the shade. One by one, random like. Careful consideration was made to not get near the bulb. I then took a long strip, and tied it in one simple knot around the outside of the lampshade, near the top, hugging all the small strips in place. 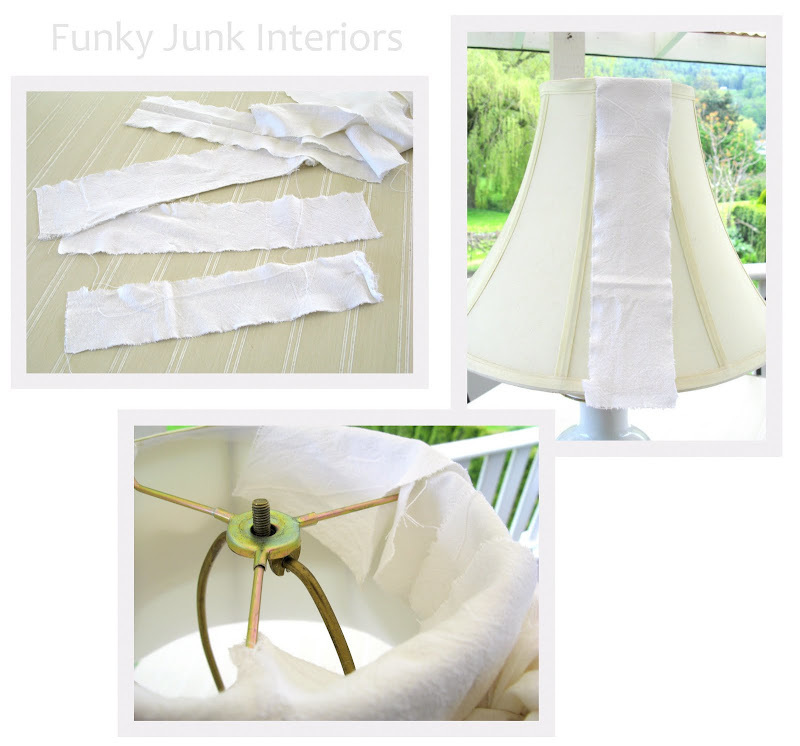 And was left with a fabulously fun shabby chic to the hilt no sew no glue lampshade! It’s so fast, unique and can be changed on a whim! When illuminated, it’s got an amazing layered effect. Caution: can be a fire hazard if done incorrectly. Please be safe and don’t allow fabric to hang freely inside shade. Please do this project at your own risk. Where the Grass is Greener’s sweet version! Love the shade and the back made me giggle! I wanna go tear some fabric and re-do a shade now! Super cute and easy! Congrats on 2000! Whooo-Hoooo! Thanks for hosting! OMG! OMG! OMG!!! I am in LUV with that lampshade! I have the PERFECT lamp to do that to! Thanks! Thanks for hosting Donna. I love your lampshade. After you showed the back, I could see it in the mirror…but no one was looking at anything except the terrific lampshade!! You’re a creative genius!! oh gosh sorry, me again! I have worked it out now, I was copy and pasting the label not the post title. That was why I wasn’t getting the photo selection I wanted either. Forgive me please, I am still learning! That is really a beautiful lampshade, well done! Thank you for hosting! Love the projects this time around, and I really love that you have divided them into categories, too. Bravo on 2,000 as well!!! Congrats on 2000 followers! Love your lampshade idea. Thanks for hosting. That lampshade is so cool! I really need to spruce mine up! Thanks for the tutorial! 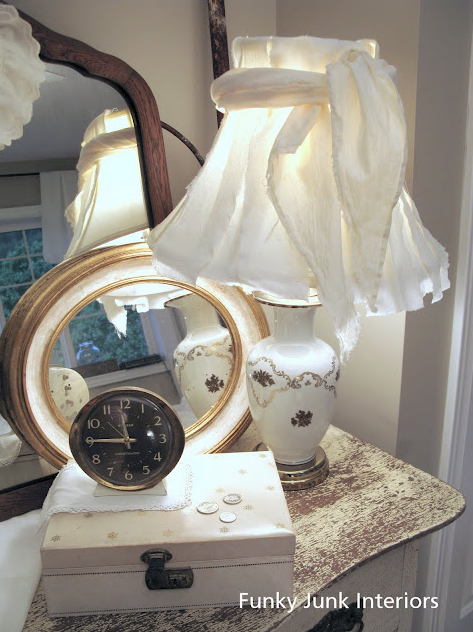 Your lampshade looks like some gorgeous thing straight out of Romantic Country magazine! Thanks for hosting Donna, I have wanted to join in for the longest time. Have a great weekend! Now this is my kinda project! I just had to go back and look at the original picture and that is where I saw the you were right – it wasn’t finished but it sure fooled me! lol Glad I am not the only one who will do a project and show it before it is finished! Glad you all got a kick out of realism at it’s best! I am the master at cheating but it does create alot of unfinished projects. 🙂 Speed isn’t everything, my friends! COngrats on having so many followers. Your home looks amazing. I was blown away by your fireplace. Don’t you love when you dream something up and then have it turn out better than you ever expected?! Thanks for the fun link party. It’s funny you picked lamps because I have been OBSESSED with making over lamp shades lately! I know you get lots of links and it’s not always easy, but I’m here nearly every SN and love your blog, so it was a big deal to read your comment today! Thank you! I’m definitely going to be checking out your shade links since I have 5-6 boring lampshades in my house just waiting for a little TLC. I love the lampshade. What a great idea. I did not notice that it was strips of fabric. Great idea. I looked all over my stash to fine the right size piece of lace to do mine, but did not find the right piece. Here i could have just ripped a piece and made it work. Leave it to your genius! Great lampshade Donna. And another week filled with awesome ideas from all the participants. Thanks for the sidebar feature! It’s always appreciated. 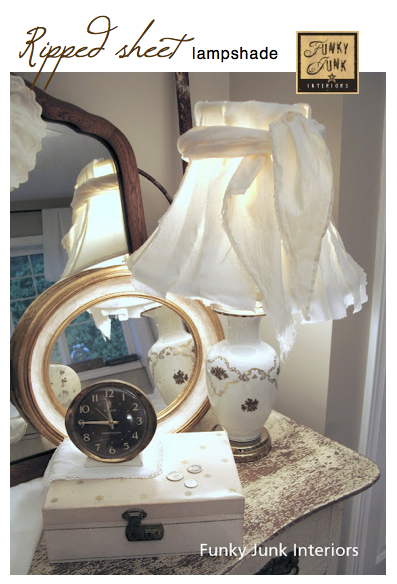 I am forever looking for something to do with blah lampshades and this is FABULOUS! That is an amazing idea! As opposed to throwing me them what better than to re-use with a beautiful vintage feel! It’s beautiful! 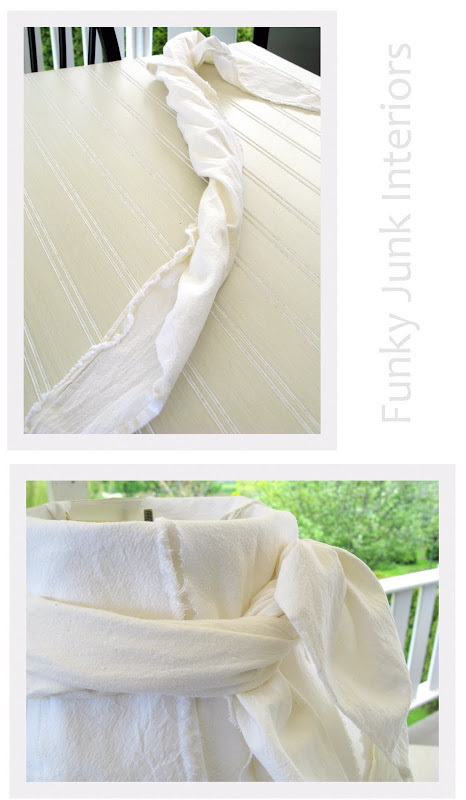 One more good reason to hold on to old linens and stained shades!!! Thanks for the inspiration!